Professional sports teams have been slower than other parts of society to welcome the LGBTQ community. But the NFL gained some serious yardage last week when Venice Pride kicked off with not one, but two NFL teams sponsoring the event. 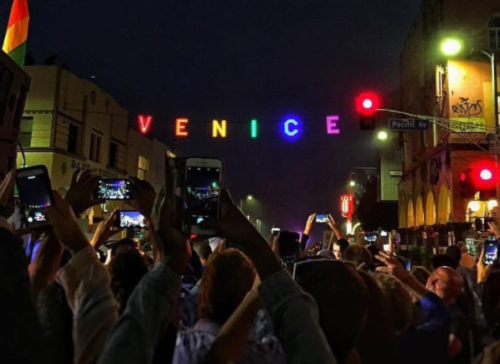 The L.A. Rams and the L.A. Chargers each sponsored a letter in the iconic rainbow-lit Venice sign for Friday’s opening celebration. It’s reportedly the first time an NLF team has sponsored an LGBTQ Pride event. Technically, the Rams got there first. It’s not surprising, consider that they were also the first NFL team to sign an openly gay player — Michael Sam. The Chargers echoed that sentiment. After all, LGBTQ people are football fans too.